BACKTOFRANKBLACK.COM: Millenniun to continue in the virtual world! As BacktoFrankBlack continues the fight for a Millennium movie, there are still many things out there to satisfy the Millennium faithful. One such thing is the upcoming Millennium Virtual Season 6. As reported on this site by Mark Hayden of TIWWA late last year, several Millennium fans have been hard at work developing virtual season 6. Millennium is certainly no stranger to the world of virtual seasons. There have been two fantastic seasons to date. Virtual season 4 was headed up by the talented Dan Owens along with 11 other writers. The tremendous work they did was even recognized by Chris Carter and writers Erin Maher & Key Reindl. If you haven't read their work, go here. 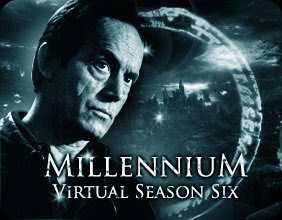 After the success of virtual season 4, another group of dedicated Millennium fans got together to produce virtual season 5. Executive produced by Anthony J. Black and James Jordan, the season continued the story of Frank Black and the world of Millennium. Here is where you can go and read the 20 episodes created for Millennium Virtual Season 5. 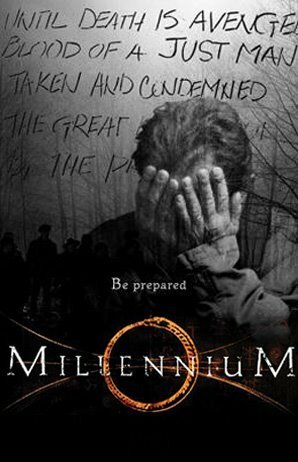 Jump ahead to 2010 and Millennium is back once again with an all new virtual season. This time show runners Barry Renshaw, Joe McBryer and Harry Smyth will bring you a brand new season of Frank Black and Millennium! They started pre-production last year and the hope is to have the first new episode released in September of this year. To wet the appetites of the Millennium fan community, the show runners were kind enough to share a teaser of the first episode over at the Millennium fan community TIWWA which is run by Graham P. Smith. I am sure everyone who is a Millennium fan is definitely looking forward to the new season of Millennium and we commend everyone who is behind virtual season 6. So, here at BacktoFrankBlack we ask that you all head over to TIWWA and read the VS6 teaser that the people behind virtual season 6 were kind enough to share. Please take a moment to thank the people behind the new virtual season and prepare yourself for another virtual season of excitement! 2 Responses to "Millenniun to continue in the virtual world!" I'm barely halfway through virtual season 4, which I really liked! I have a lot of catching up to do!